Painted these guys up today - and thanks to good weather, the Minwax Tudor Satin stain dried in record time. Testors Dullcote was sprayed over the finish. The research by Jose A. and sculpting by Mr. Hicks are commendable. 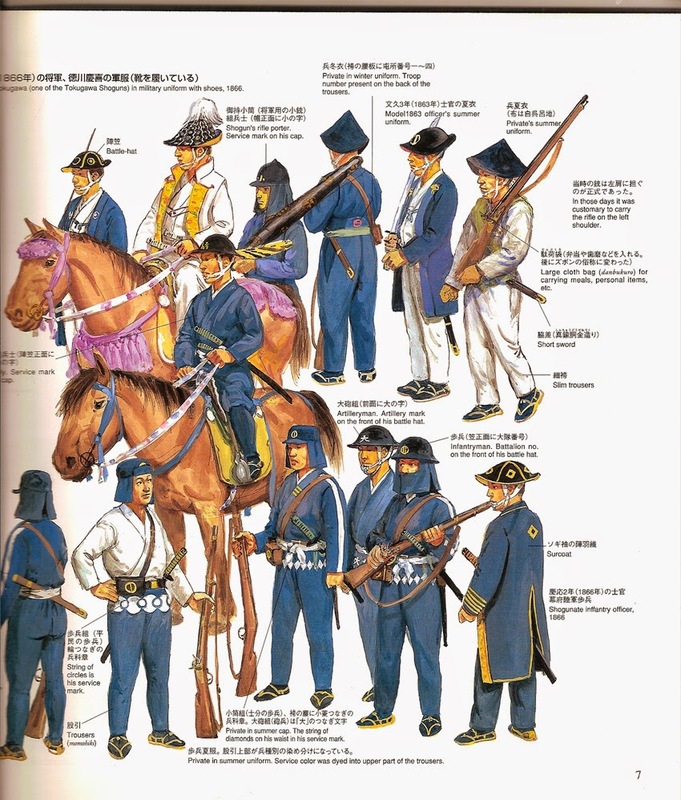 These are identifiable as Imperial troops by the red strips of cloth on their upper left arms. The two on the left represent officers of the Choshu and Tosa clans. The excellent sculpting by Mr. Paul Hicks facilitated painting. 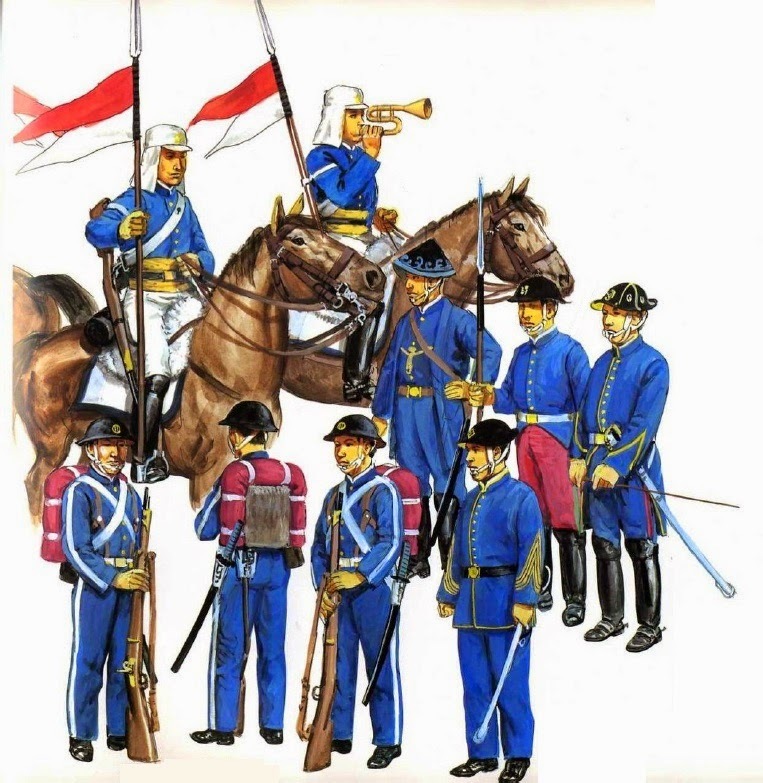 Over a black basecoat, successive layers of blues (dark to light) were dry-brushed for the Western-styled uniforms. Here they are stained, prior to the Dullcote finish. 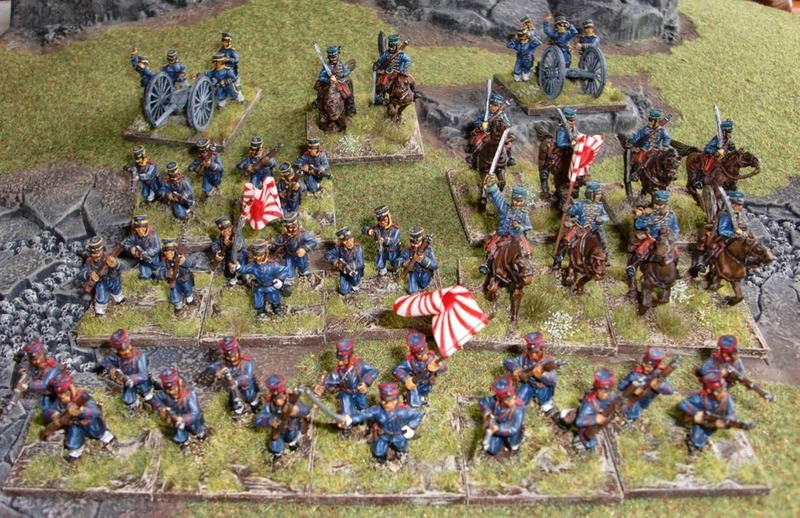 Below - elite Denshutai troops of the Shogunate - including lancers! 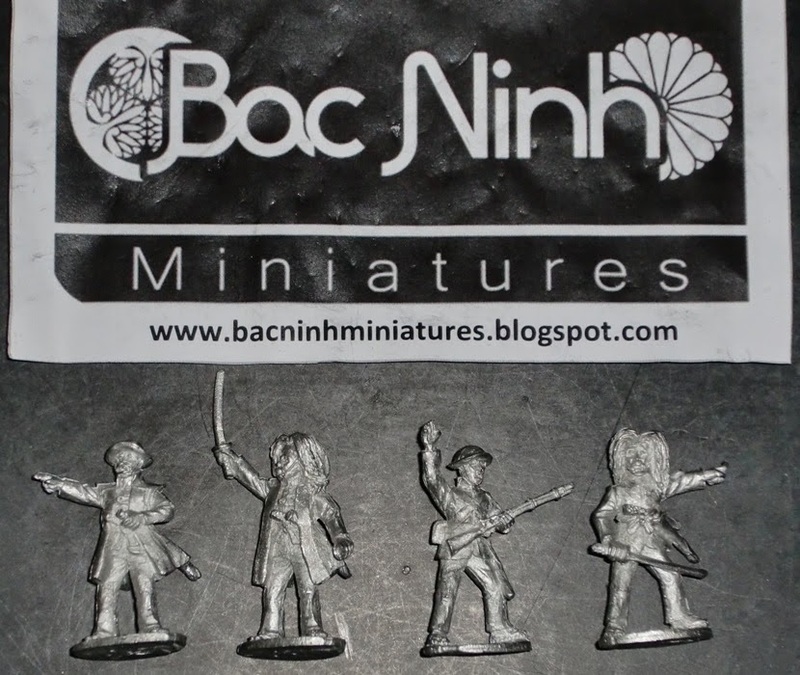 These excellent Paul Hicks sculpts arrived today - only a week after ordering them from Bac Ninh Miniatures located in Spain. The owner/proprietor, Jose A., had them on sale for a discount and I just had to try them out. I am pleased not only with the figures themselves, but the ease of ordering as well as the speed of delivery. Thanks Jose! 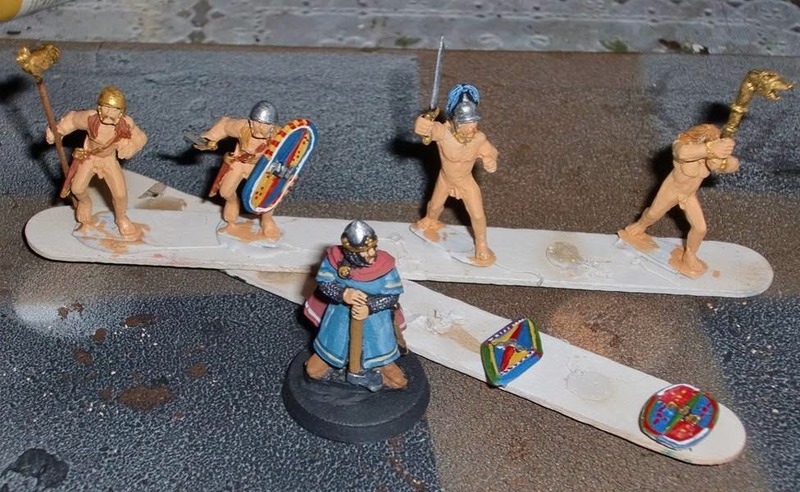 Decided to rebase some Celt/Gaul figures onto Litko bases; infantry three figures per 40mm square, and two cav per 50mm square. 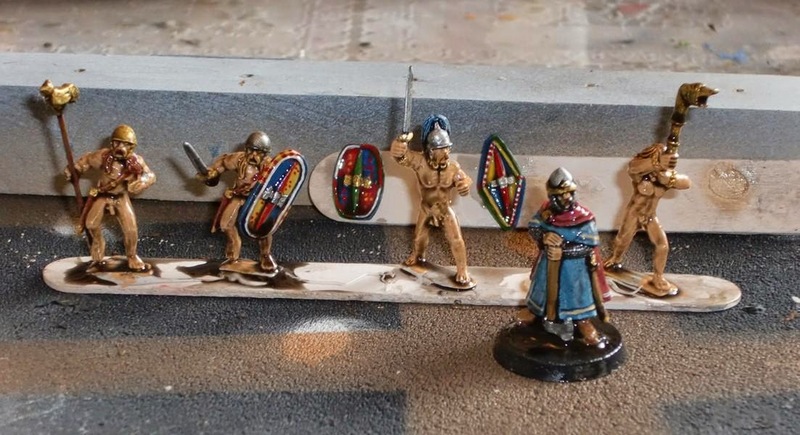 They were previously based for WAB - and used in games as Seleucid mercenaries. They are mostly Old Glory figures with a few Gripping Beast command figures. Most of the shields have LBMS transfers; a few of the Gripping Beast shields were hand-painted as the transfers wouldn't fit onto them. 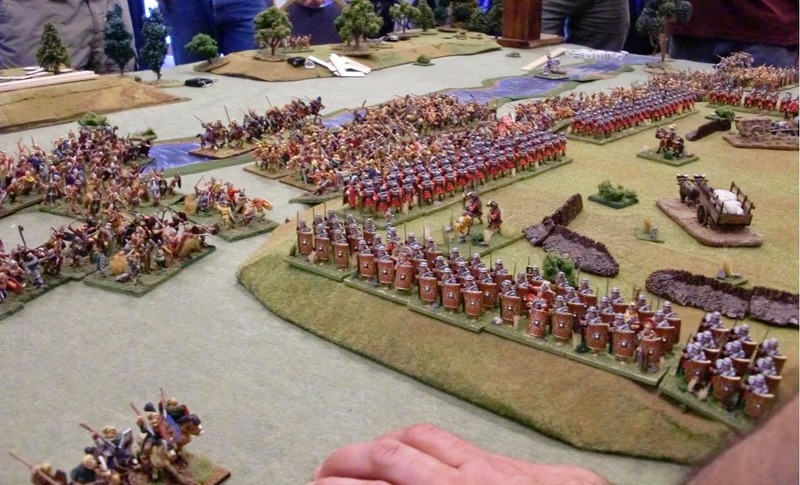 Encouraged by the way the modified Hail Caesar rules played out with the Siege of Haengju game, I plan to use these against the Warlord Games EIR troops that have never seen action as of yet. 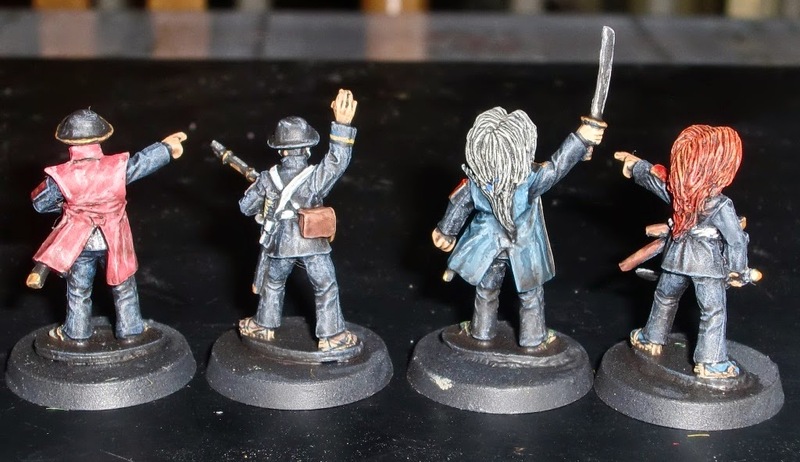 To round out the units, I painted up a few more Gripping Beast figures using the method of block painting and Minwax staining - I am still using the remnants of a can that is practically gone save a few drops. 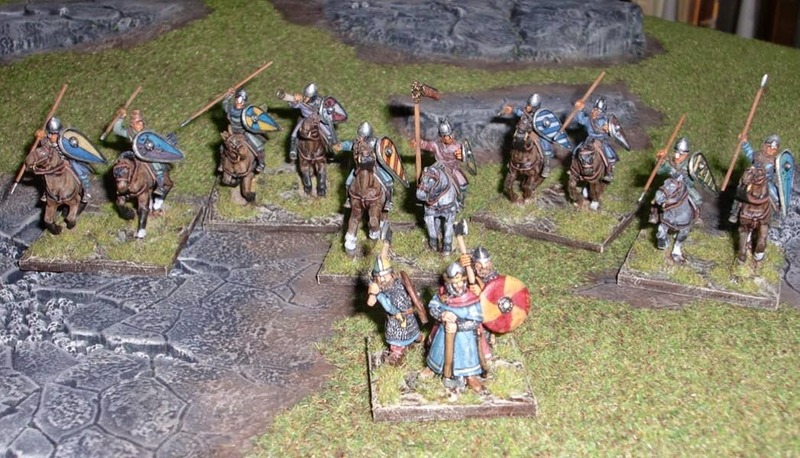 The Harold figure in front is a Crusader Miniatures figure that was used to round out another base of Saxons. 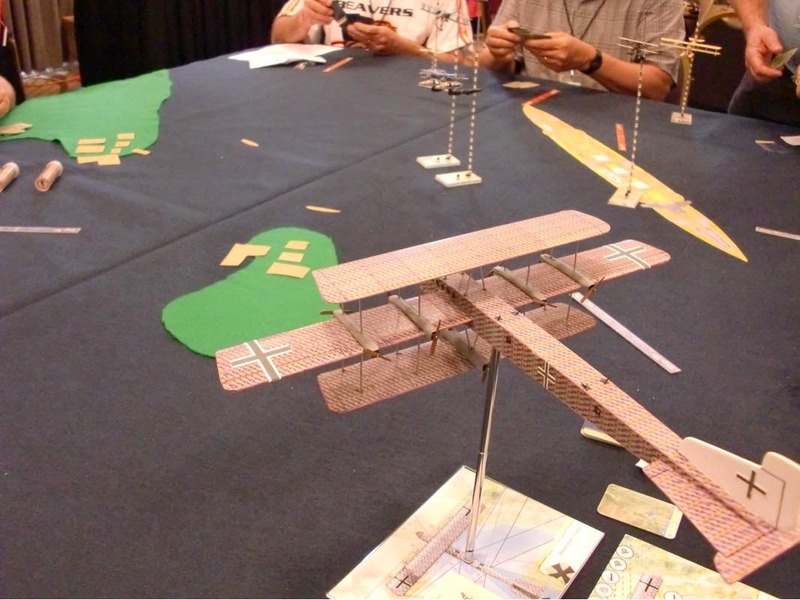 Here is Harold in front of some Old Glory light armored Norman that were also rebased two per on 50mm squares. I've just about had it with single-based figures and casualty removal for most games, so eventually all my figures will be multi-based. 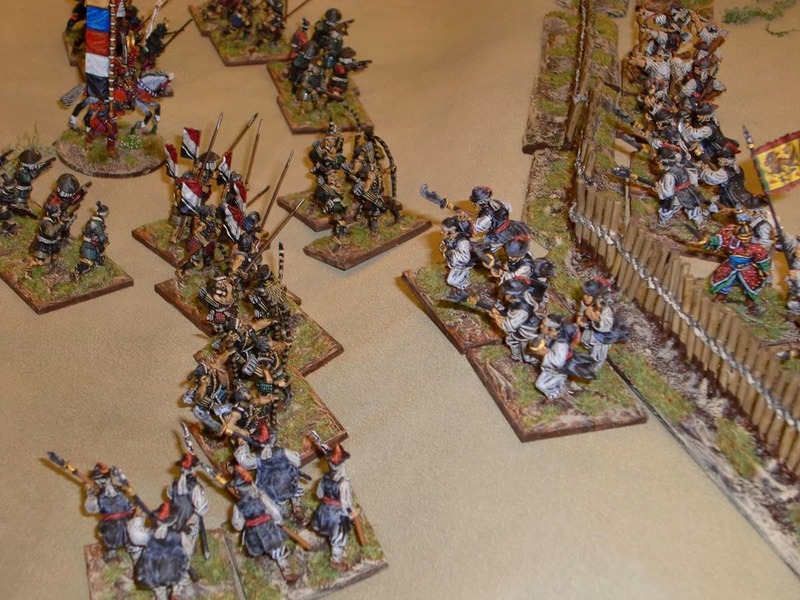 I'm thinking of rebasing my Norman and HYW French knights three-per 80X50mm bases. Another Litko order may be placed soon. Just got back from attending my eighth Enfilade! 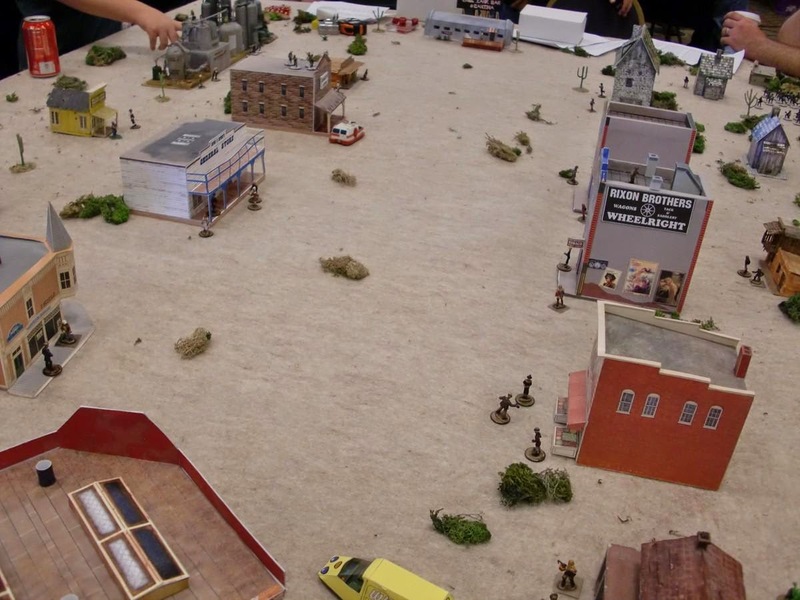 - the local historical gaming convention touted as the largest of such conventions west of the Mississippi. 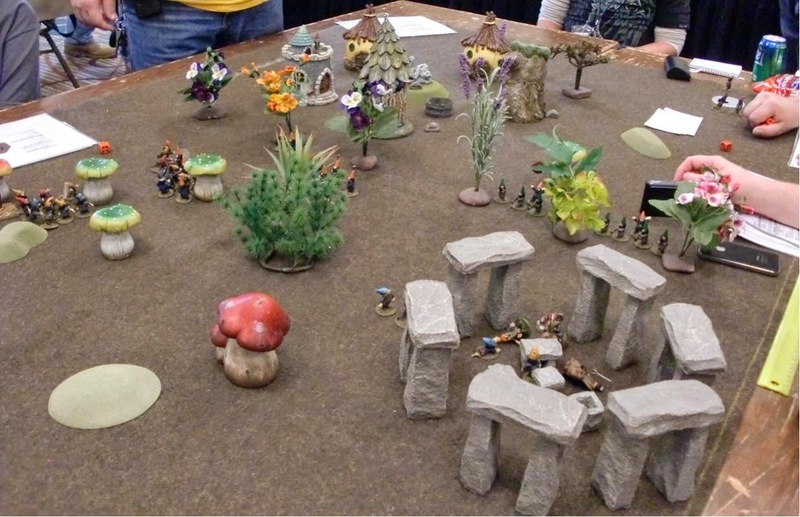 The three-day convention hosted by members of the Northwest Historical Miniature Gaming Society, and held over the Memorial Day weekend is in it's twentieth-plus year, and a major attraction for the historical gamers in Washington State, surrounding states and loyal attendees from the Great White North - mainly the Vancouver, B.C. area. 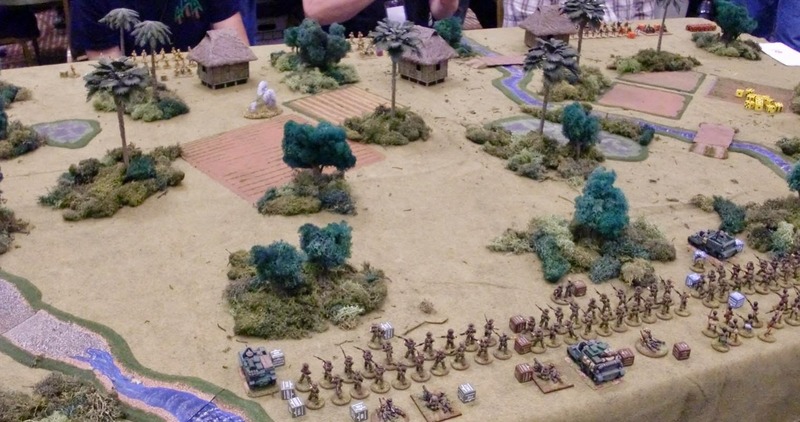 I hosted the Imjin War Siege of Haengju game in the first two periods of the convention - the afternoon and evening of Friday. I was preoccupied during the first game and forgot to take pictures. As I've posted pictures of this game from play tests before, I've only added a few pictures below as they depict actions which hadn't occurred before. First, Samurai cavalry attacking the outer wooden barricades - which the rules don't allow them to cross, but can fight defenders at. The second image is of Koreans having left their defensive positions and fighting Ashigaru outside of their defense works. Something which rewarded the Korean player with having his units destroyed in the first round of combat. 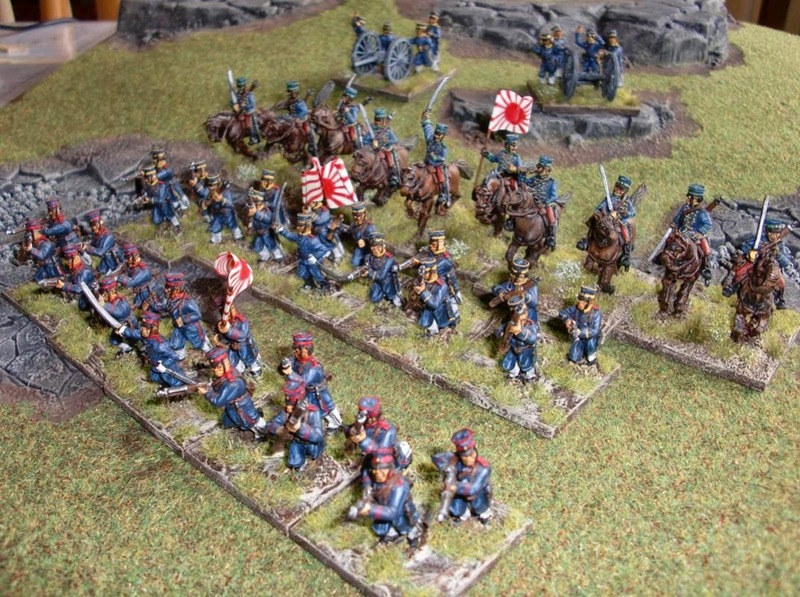 And from the first game, Samurai cavalry entering the first tier after successful hits on the outer barricade by the lone Japanese cannon. The rules allowed a section of wall a unit base width to be destroyed (removed) if two successful cannon hits were made in the same round of firing. The cannon only had two shooting dice per turn. 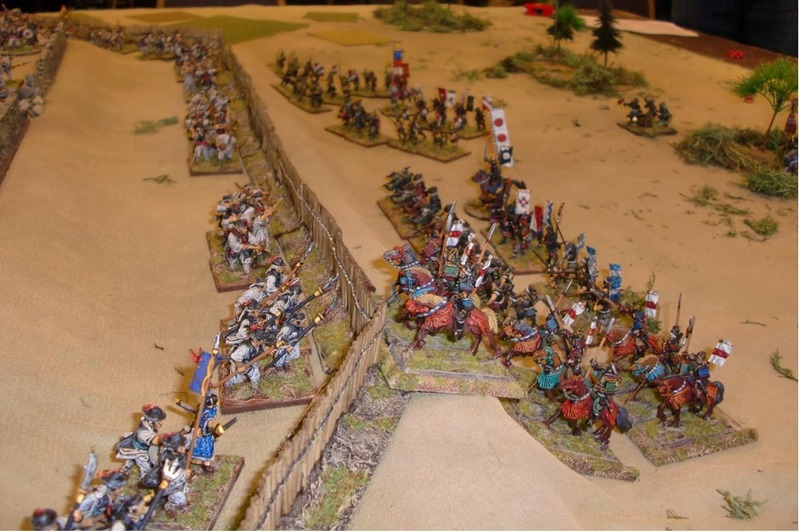 Incidentally, cavalry could fight at the wall, but not cross it mounted. 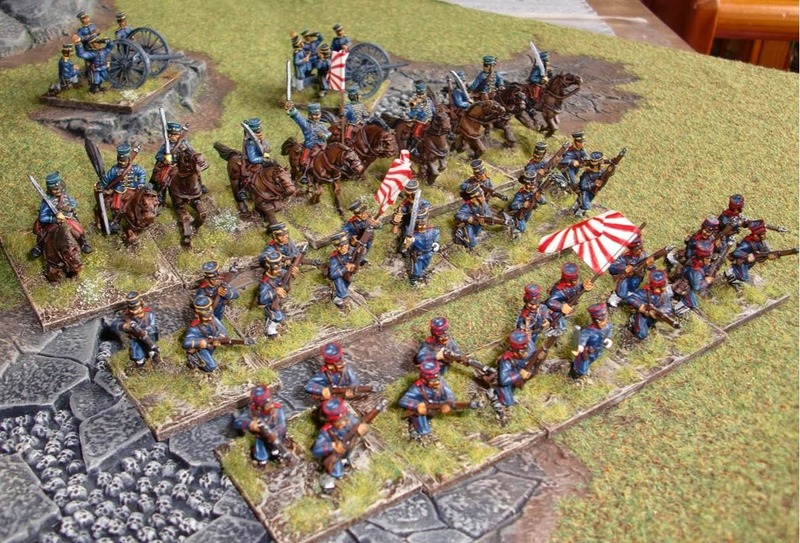 Samurai cavalry impetuously attacking the outer wooden barricades. Over confident Koreans leaving the safety of their defensive position to take on Ashigaru - ending in their demise. I should add that both games had the Koreans victorious by destroying 50 percent of the Japanese forces. The first game in the the 6th and last turn, and in the second game during the bottom of the 5th turn (the Korean's turn). 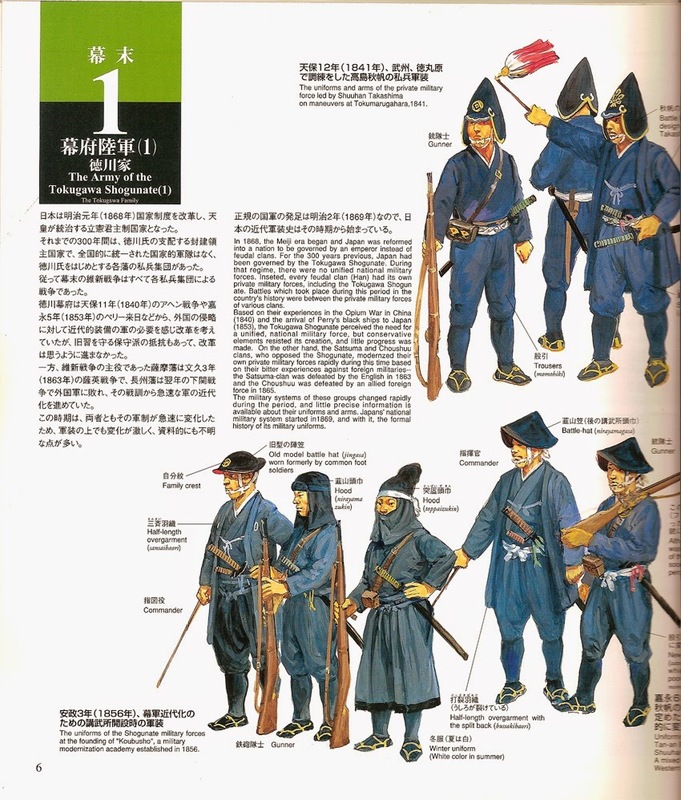 The first game had a Samurai unit in the top tier of the Korean defensive position, but later destroyed by point blank Hwa Cha fire. Hosting the two games, I failed to take pictures of the numerous others games going on at the time. 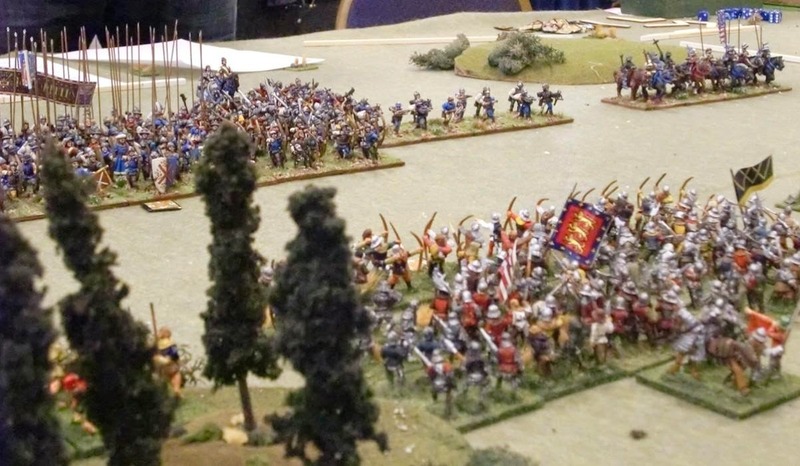 I did manage to take a few photos of some of the games on Saturday - including a War of the Roses game using Armati rules which I participated in. Here are the pictures - hopefully captioned correctly. These are only a fraction of the over 100 games at the three day convention - I actually left the evening of the second day; missing the last three periods. 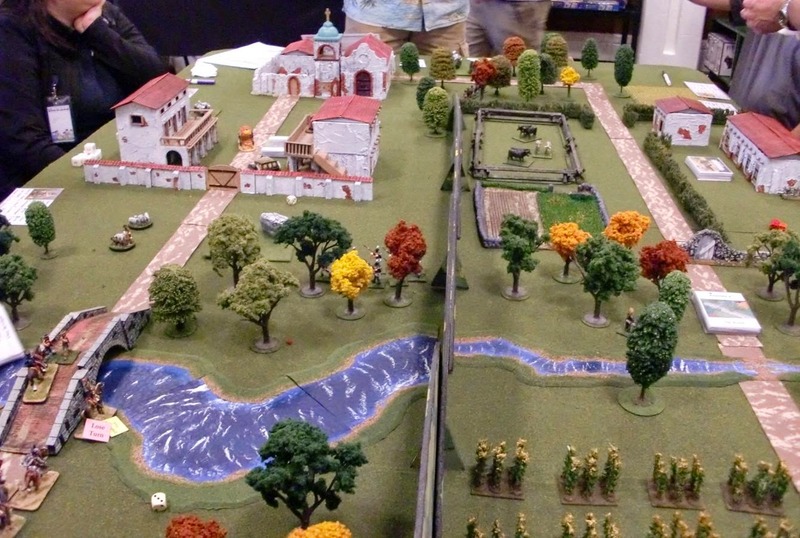 If you're ever in Washington State during Memorial Day weekend and looking for some great historical games (as well as a smidgen of other types), be sure to drop by. I managed to pick these up off of ebay for a great deal. 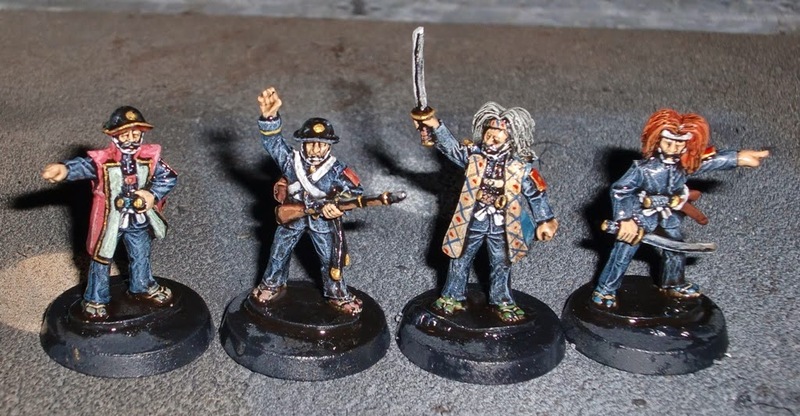 I had wanted to sample some these figures as the lower ranking foot samurai look just like the Minamoto samurai on the period scroll depicting the raid on Sanjo Palace. These are bare-legged and without armor for their arms as in the scroll. I painted them up today using the block painting technique followed by Minwax Tudor Satin Stain. 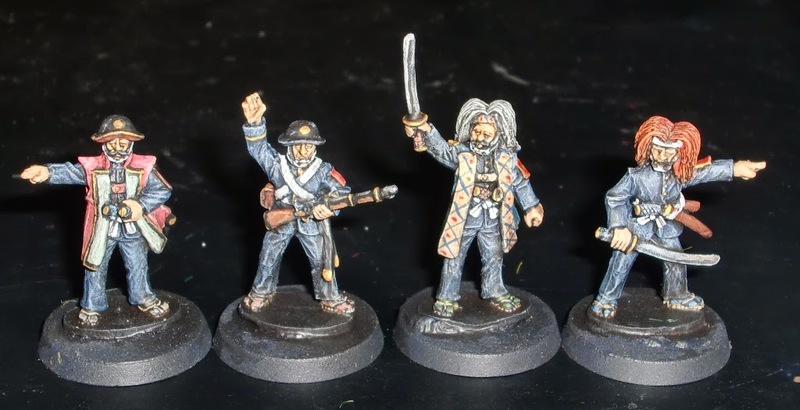 These are the first figures I've painted in some time, as I've been in a sort of painting slump. 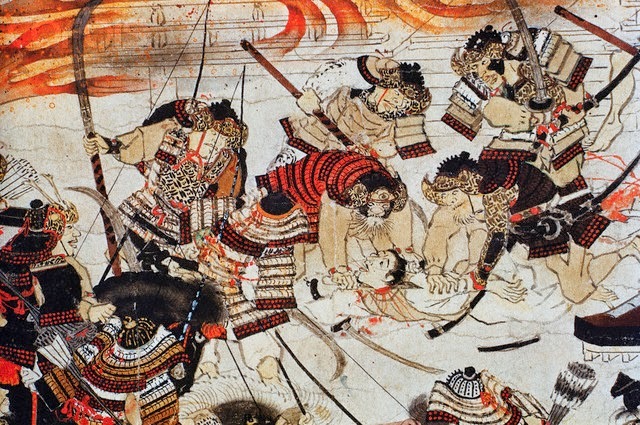 The two on the left in the photo above appear to be in armor from a period a bit later than Heian, but not too far off. 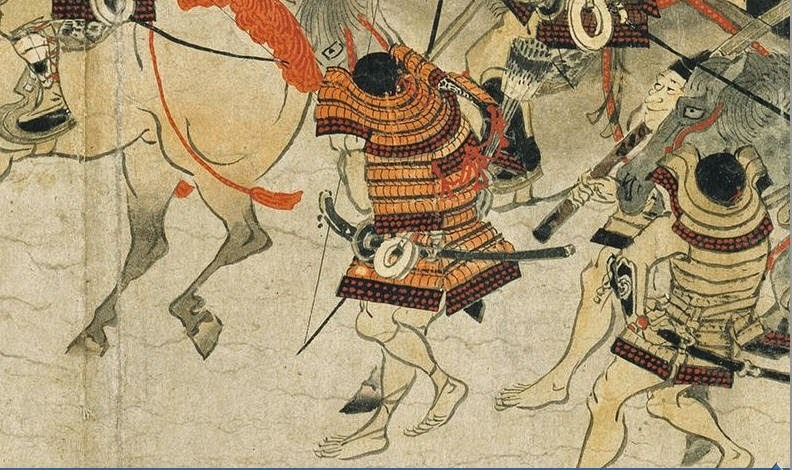 The three on the right are carrying naginata which many of the foot samurai in the scroll are armed with. The image below shows them block painted over a black undercoat. Next, reshly stained with Minwax. The can of stain is several years old and only a few drops are left and had to be refreshed with thinner. Here are a couple of images from the scroll - note the bare legs and lack of sode (upper arm protection) on some. The samurai in the scroll are from the Minamoto clan and were considered uncouth by the opposing Taira clan. 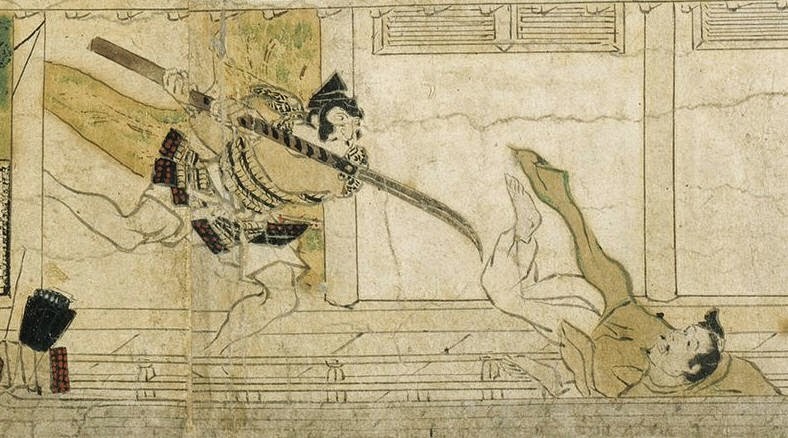 In fact, the scroll shows many of the Minamoto whiskered and bare legged - as well as doing very vulgar things like decapitating unarmed individuals, and parading the heads on the blades of their naginata. 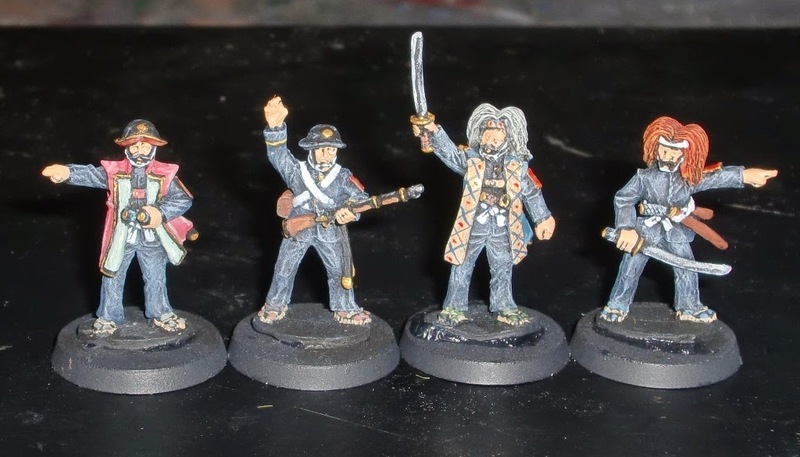 Here's a comparison shot of various 28mm miniatures for the Heian period. For the record, I like the less-armored West Wind samurai over their more armored ones. The more armored ones (with sode, etc.) seem to be wearing later period armor which would work fine in Sengoku era, but look a bit advanced for Heian. All of them come with separate heads, which allows for slight variations of poses. Overall, the West Wind figures aren't bad figures and painted up quite quickly. 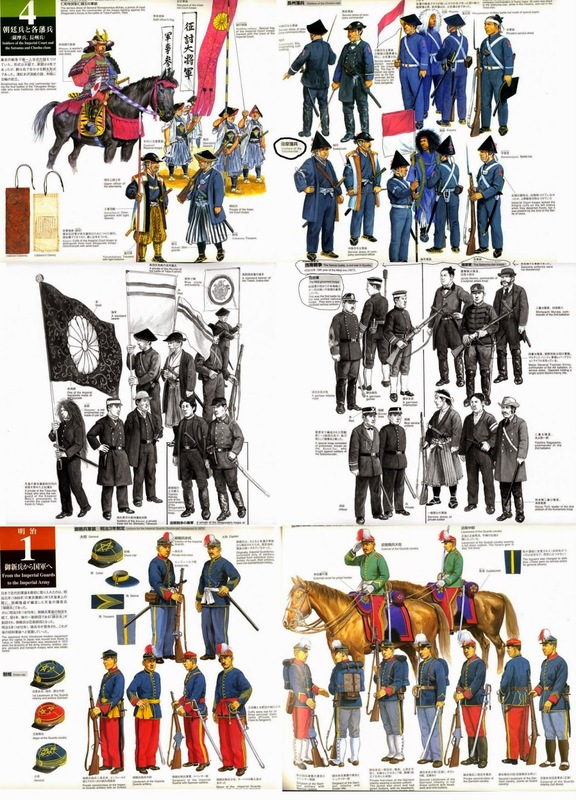 These are all Old Glory figures from their Boxer Rebellion range, except for the cannon which are from the Spanish American War range, IIRC. 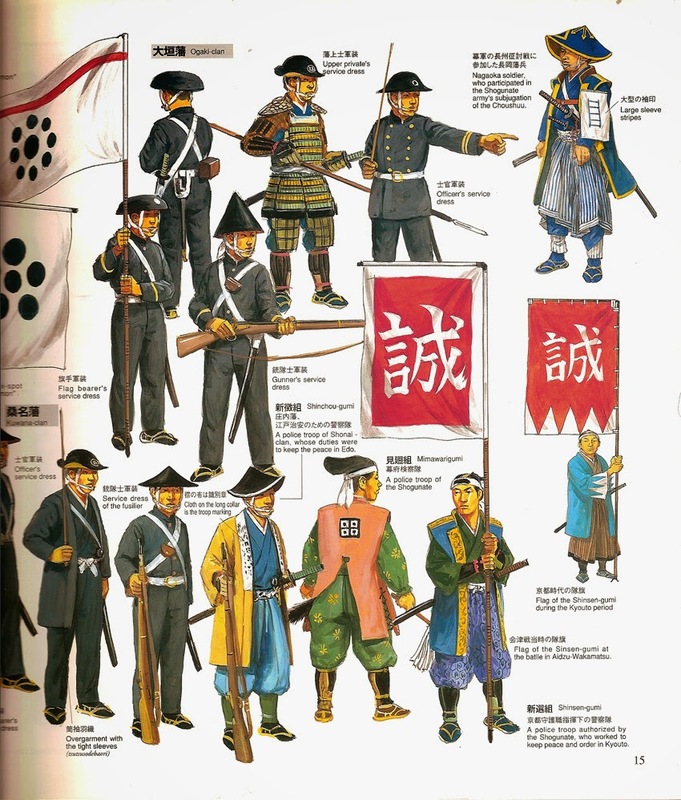 They're painted up in early Meiji era uniforms, which were worn up until the middle of the Russo-Japanese War. 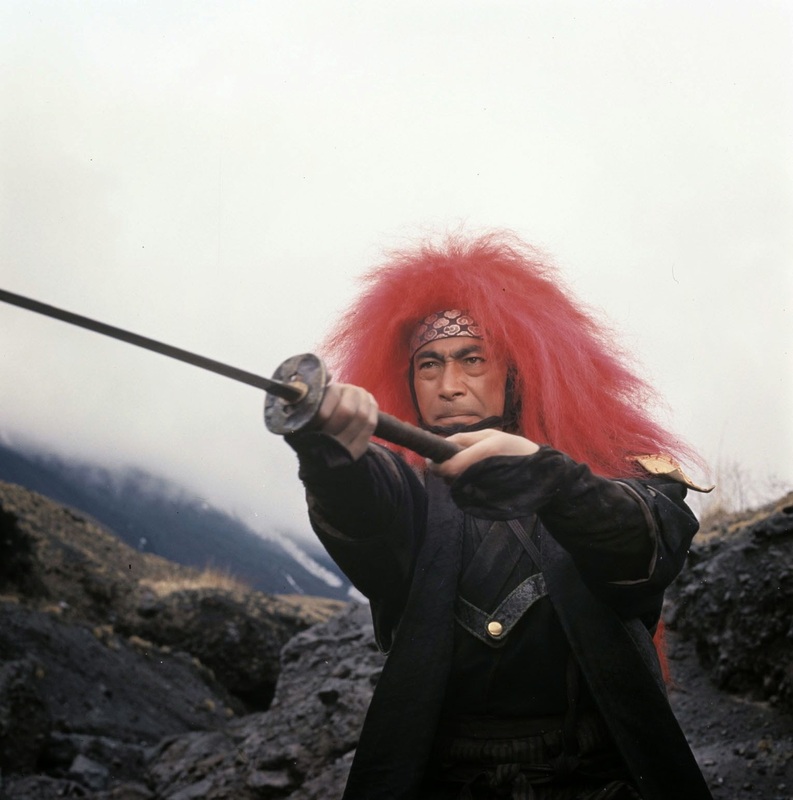 They are also similar to what was worn by Imperial troops in "Dances With Samurai", er...I mean "The Last Samurai". The figures have been re-based on Litko plywood bases for either Hail Caesar or Black Powder. They were previously based as singles and used in a couple of The Sword and the Flame games in the past. As I'm not much of a TSATF player, I wanted them multi-based for the types of games I play. 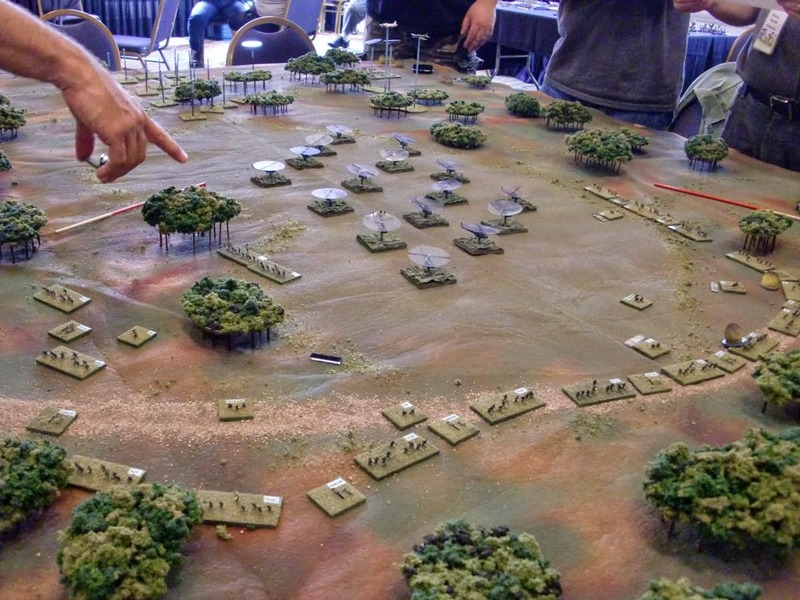 I suppose they could still be used in games like Bolt Action with casualty counters too. I might try them out against Samurai like the movie mentioned above.